According to surveys, 92% of consumers trust referrals from friends and family more than any other form of advertising. So if you have happy customers it’s high time to use them to attract new business! Even better than collecting reviews and testimonials: Think about offering your contacts an incentive for successful recommendations and establish a referral scheme. 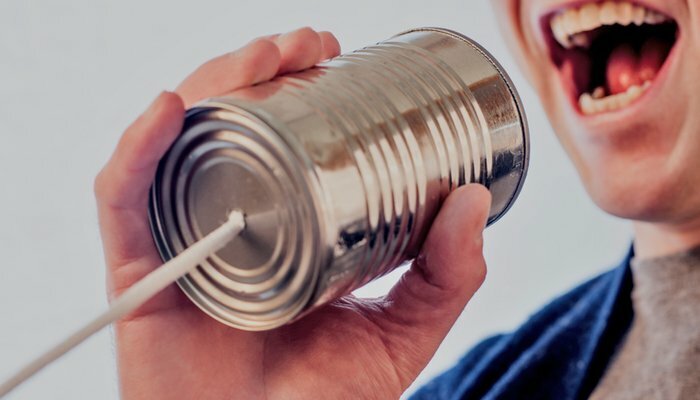 I’ve already written about how to turn existing customers into repeat business: Listen closely, communicate regularly and deliver a stellar customer service. But depending on your products and service, your customers might only need your help so many times a year. To encourage your contacts to recommend you, you have to offer an incentive. But to make it work, the incentive has to be of real value for the customer. Nobody feels appreciated if they only get a signed copy of your handbook that you usually give away as a freebie on your website. It sometimes is a good idea to offer a choice of incentives, to cater to a broader audience. TIP: Think about the possibility to offer an incentive to both the referrer and referred. If, for example, you offer a 10% discount on their next order with you, you double the effect and get repeat business and a new customer. It may sound terribly trivial, but to get referrals, you have to ask. Always ask your customers personally (or by email) for a testimonial and a referral after a job is done. That’s when they’re happiest and most willing to give something back. And most importantly: Leave enough time until you ask them for a favour again. Find out how to ask the right questions to grow your small business. You can expand your referral scheme by not just asking everyone you’ve ever done business with but everyone you know. Your social media channels are perfect for that: Post about your referral scheme regularly to spread the word. The same goes for your company newsletter, email signature and any other marketing activities you’re planning. Even if you plan on rolling out your scheme for referrals worldwide – invite your top customers first. These are customers who are most likely to recommend you and/or are very well connected. This gives them the special treatment they deserve and gives your referral scheme a head start. Another important thing to keep in mind is to make it as easy as possible for your contacts to refer someone to you. Give them a leaflet or a referral card to give to their friends and family, have a link or button on your website that leads to a simple referral form or have a pdf ready to email to them. Always give your potential referrers all the info they need, including the reasons why anyone should buy from you. Also: Make sure they know what you offer and what clients you are looking for. If they have bought one product from you in the past, they might not know what else you have in store. Never, ever forget to thank people for referrals. You can do that best by using their preferred communication channel, either personally, by phone or by email. But also consider mentioning them on social media or in your newsletter. To grow your small business, it’s important to keep in touch with your contacts. This also applies to your referral scheme: Don’t just get in touch when you want something from them, be in touch regularly. Email them for their birthday, send Christmas cards, share interesting links and events with them. Or simply meet up for a coffee every now and then to see if they’re still happy with your services. Feel like your business doesn’t have enough to offer yet to give a referral scheme enough traction? How about teaming up with complementary businesses to yours to get (and give) referrals. This way everyone involved gets to tap into a new audience and you can offer your customers something of value.